This protein pancakes recipe only uses fresh ingredients, without any additional protein powders. It’s a perfect healthy breakfast, which is also gluten-free and suits a vegan diet. There are two main ingredients: mung beans (the base) and chickpea flour (that we use for binding). You can also add a bit of rice flour or other grains to make it a complete protein. 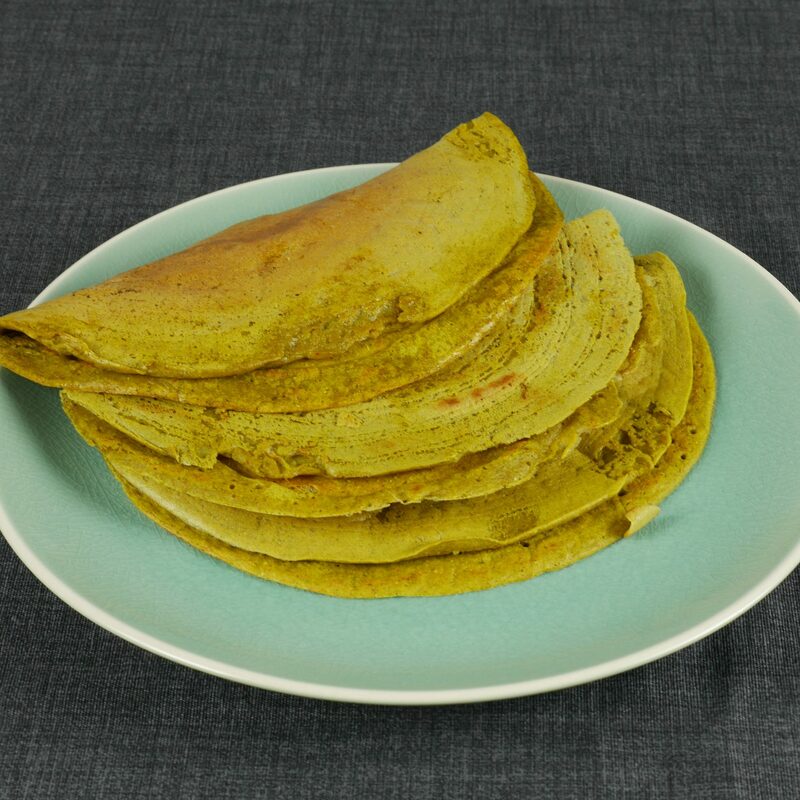 To flavour this pancake we will use our favourite spices, ginger and a green chilli – feel free to add any spices of herbs of your choice. Step 1. Add all ingredients to a blender and pulse it. Add a little bit more water if the batter is to thick. Step 2. Cook on both sides until it is ready. The thinner you make your pancake, the faster it will cook and the crispier it will be! You can also use various fillings for this pancake, to add additional flavours and nutrition value.